PJSC Multiplex-Holding, developing the Multiplex cinema chain in Ukraine, is holding negotiations with managers of Kyiv’s TsUM shopping center, seeking to open a cinema in the new premium format in it. “We are at the final stage of negotiations. It remains to agree on some details… In the next few weeks we will sign it [the lease agreement],” Commercial Director of Multiplex Holding Vitaliy Pysarenko told Interfax-Ukraine, confirming the company’s intentions. 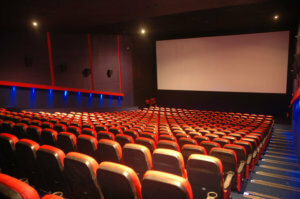 According to him, after signing the contract, it will take up to six months to open the cinema. “This will be a format that corresponds to the audience of the department store itself — premium. I think it will be very popular in the center of Kyiv,” Pysarenko said. In general, according to him, by the end of 2019, Multiplex plans to open about 40 more cinema halls (about five facilities). “We have big plans for the next year. What I can say specifically – we will open [cinema halls] in the Spartak shopping mall (Lviv), as well as at the end of the (current) year in the Gagarin Plaza shopping mall in Odesa, which will be our first cinema in this city,” Pysarenko said. Focus Estate Fund investment fund (headquartered in Kyiv) has closed a deal on the acquisition of the Galeria Awangarda shopping center with a total area of 7,500 square meters in Bartoszyce (Poland), the company’s press service has said. “With this investment, the fund increased its portfolio in the medium-sized retail real estate sector in Poland and the Czech Republic to five facilities with a total lease area of more than 34,000 square meters,” Managing Partner of Focus Estate Fund Andriy Kozyn said. According to the report, the Galeria Awangarda shopping center was opened in April 2016, among its largest tenants are the stores Biedronka, Jysk, KIK, Deichmann, and ABRA. According to the company, at the time of the deal, the vacancy of premises in the object was about 3%. The press service said the transaction broker was KYHOS Real Estate s.r.o., the property manager was JLL, while legal support was provided by Czabański Gałuszyński i Partnerzy. The company plans within two or three years to invest about EUR50 million in the development of medium-sized commercial property projects in Eastern Europe. Headquartered in Kyiv has acquired the Galeria Eden shopping center in Zgorzelec (Poland) with a gross area of 8,500 square meters from Poland’s DNB Assets Holdco, the press service of the Ukrainian fund reported on Wednesday. “During the year, Focus Estate Fund together with the Polish development partner Młyn Retail Park will carry out work to expand the retail area to 10,000 square meters and change the format of the shopping center to a retail park,” the fund said. 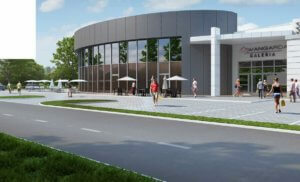 According to the fund, investments in the re-concept will amount to more than EUR 1.5 million. It will take about a year to complete the project. According to the fund, the international company JLL became the managing company of the facility. “Due to the successful location of the retail park directly on the border with Germany, we expect a significant increase in the flow of buyers from Germany. For this we invest in modern architectural solutions that will give a new life cycle to the facility, and through the increase in the retail area attract more tenants,” the fund said, quoting its managing partner Andriy Kozin. According to the Focus Estate Fund, the facility is located in a large shopping cluster in the village directly on the border with Germany, next to the German city of Görlitz, a major cultural and industrial center of the country. 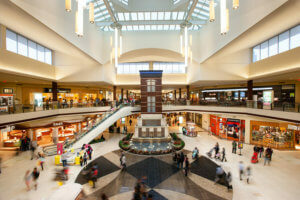 The anchor tenants of the shopping center are Jysk, Komfort, Abra Meble, Pepco and Takko Fashion. As reported in October 2017, the Focus Estate Fund acquired Most Retail Park in Most (the Czech Republic) with a total area of 6,500 square meters. In 2016, the fund acquired Centro Ostrava Retail Park in the Czech Republic and Galeria Sandomierz in Poland. The company plans to invest about EUR 50 million within two or three years in the development of commercial medium-sized commercial property projects in Eastern Europe.